First day back in the studio after a week away. We found a bag of frozen shrimp in the freezer, a lemon in the crisper, and we always have a jar of mayonnaise in the fridge. 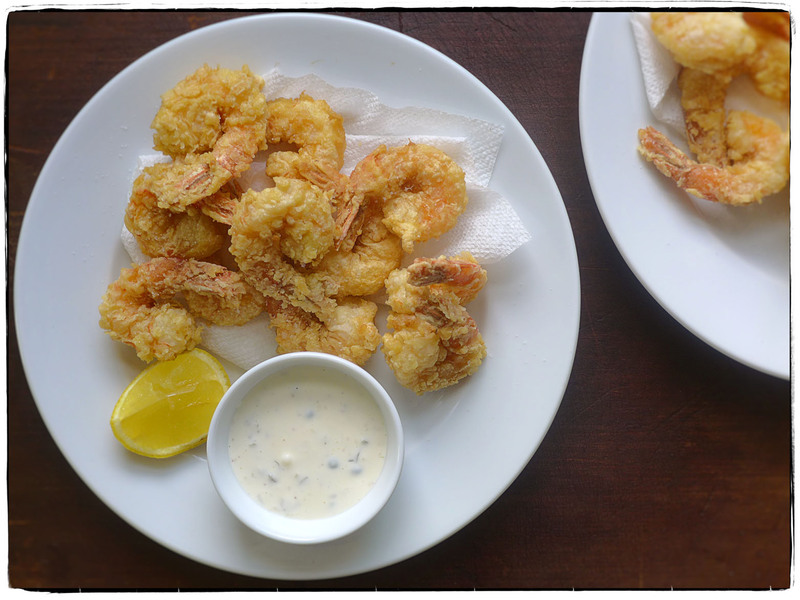 So, it was fried shrimp and tartar sauce for lunch today. Felt kind of beachy and fun, and it tasted like summertime as we crunched through the crisp crust into the soft sweet flesh. But we are really in our studio with the air conditioner cranking on this hot June day. Stay cool.